This development is situated within the La Cala Resort, an exclusive complex with three 18-hole golf courses, 4* hotel & spa and a wide range of additional sporting facilities. These include a Golf Academy, tennis courts, fully equipped gym, running and cycling tracks. All of these facilities are set in a quiet, relaxing surroundings with spectacular panoramic views and beautiful natural scenery. This exclusive project overlooks the prestigious Asia and America golf courses. The new owners will enjoy the panoramic views of the golf course and the mountains of Mijas. This privileged location provides access to all the best areas for fun and leisure within a 30km radius. Just 10 minutes from the wonderful beaches along the Costa del Sol, a short drive from the picturesque La Cala de Mijas and the town of Fuengirola. Only 20 minutes from the centre of Marbella and 30 minutes from Malaga airport. Designed with contemporary lines that blend into the surrounding area. 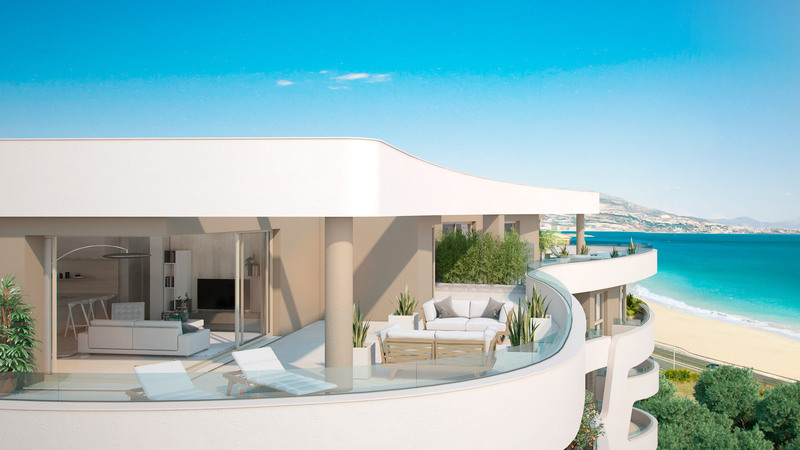 Spacious terraces, large windows and carefully chosen materials make the homes unique places where you can enjoy the best of the Costa del Sol lifestyle. This private residential development of just 4 buildings with 3 storeys each, surrounded by communal areas with pools and gardens will provide 20 exclusive penthouses and duplex apartments with 3 bedrooms and a further 40 two and three bedroom apartments with large terraces, all with panoramic views of the golf courses, mountains and coastline. 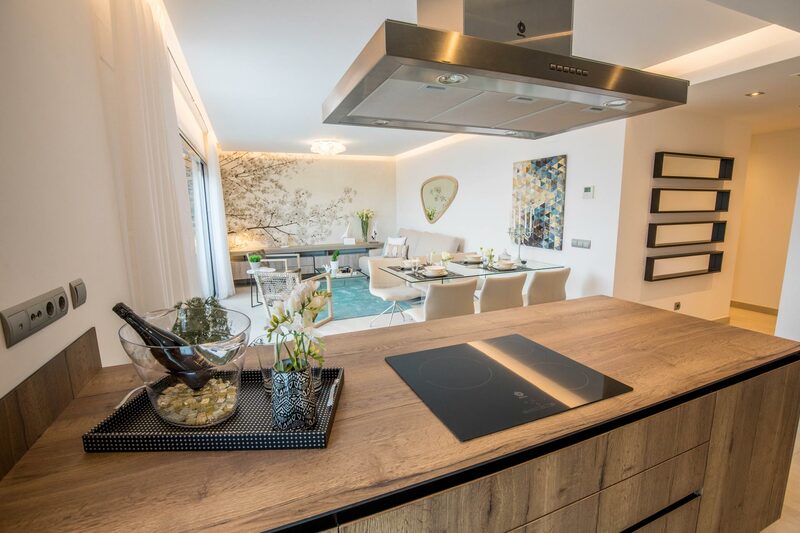 The developers have created a new housing concept, based on maximising space, creating a spacious living room opening out onto the terrace and integrating the kitchen into the living room, achieving maximum luminosity and the sensation of spaciousness. All built according to the new European standards for construction, according to the energy efficiency class B, that provide maximum soundproofing and insulation between units, thermal insulation and the use of solar panels for hot water. A truly wonderful resort, highly recommended by R&R the leading agent for modern homes on the Costa del Sol.